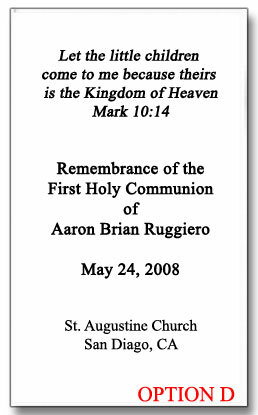 Looking for a unique and special way to commemorate your child's First Holy Communion? 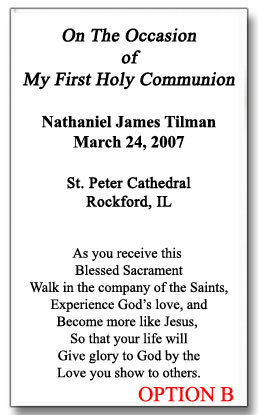 These laminated customized Holy cards provide a personalized way to remember the occasion. 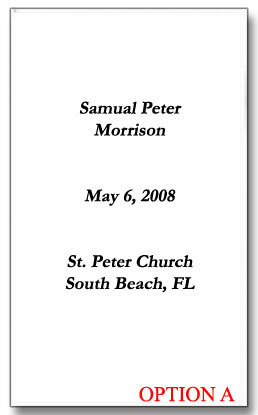 The images on the face of the card are from holy card printers located in Milan Italy. Each card is protected in a high grade, stiff laminated cover. The cards were great. 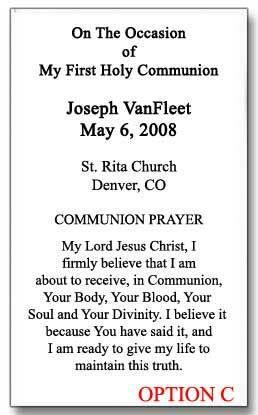 I waited thinking my daughter order some but at the last minute had to place a order and got them before the communion. Thank you it was very special. Beautiful prayer cards and received quickly. Thank you.